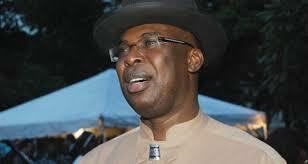 A Federal High Court in Abuja has dismissed the N19.2b fraud charges instituted against a former Governor of Bayelsa State, Timipre Sylva, by the Economic and Financial Crimes Commission (EFCC). The commission which filed multiple charges against the former governor had earlier withdrawn a six-count charge of N2.45b against him. In a ruling on Wednesday, Justice Ahmed Mohammed upheld the preliminary objection filed by Sylva and dismissed the charges as an abuse of court process. With this dismissal, there are no cases pending against the former governor. In dismissing the case, ‎the judge held that the charges instituted against Sylva by the EFCC were an abuse of court process since they were based on the same set of transactions involved in the N2.45bn charges against him that were recently dropped. Justice Evoh Chukwu of the same Federal High Court had on June 1, 2015, struck out the six counts of N2.45bn charges after the EFCC filed and moved an application withdrawing them. Justice Mohammed also accused the EFCC of attempting to interfere with the administration of justice by withdrawing the N2.45bn charges after the court had heard and adjourned for ruling on Sylva's notice of preliminary objection complaining of the multiplicity of the charges filed against him by the EFCC. He said that while the suit before him was ready for ruling, having heard the submission of parties’ counsel, the prosecution hurriedly went to withdraw the suit before Justice Chukwu.